I can't say that I have always been great with money or that I am great with money now. But I will say that I have a heavy financial and administrative background. In fact, it has been my full time job for 11 years now. Give me a company's financials and I can break them down in no time. My own finances though, insert crazy eyed emoji. I am not embarrassed to say that at one point I had $1 in my bank account. This was while making a very substantial salary but right after my ex and I had separated. I was rolling in debt like a pig in mud. Around every corner was more debt lurking. I knew things needed to change and they needed to change that very moment. 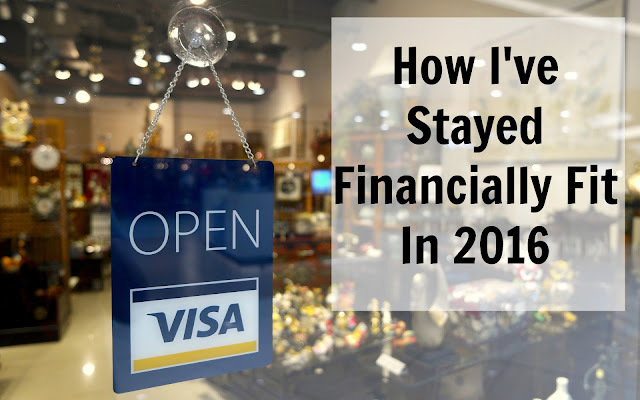 I began to look at my lifestyle and to look at my finances as a business. After all, it is a business. It is MY business. It's MY livelihood. I broke it all down. Medical, living, gas, car, groceries, entertainment. You name it. I had a section and a subsection for everything. It was in that subsection that I found a money pit. Water bottles: I am a water snob. I admit it. I do not drink it straight out of the tap and I don't drink all brands of water (they taste different I swear). At this point I was buying about two cases of water a week and sometimes more. I would drink between four and eight bottles of water a day. So take a second and do the math with me. A 24 pack of water is about $3.98. Buying two a week would put me at $7.96. At 52 weeks a year that is a whopping $413.92! That's insane! Here I am broke as a joke yet I am throwing money away (again literally as the bottles went in the trash). Water down the drain! After my initial shock I still doubted myself. I mean I still needed to drink water so what was I supposed to do? Enter husband. Husband was boyfriend at that time and was more than tired of lugging my cases of water up three flights of stairs every week. He did it. He didn't complain exactly. But it wasn't fun. He came home one day with a beautiful Brita pitcher and a pack of filters. Let's do the math now. The pitcher was about $20. A filter would last me for a month, bought in a three pack at $15, that puts me at $60 for a 12 month supply. I had just gone from spending $413.92 a year for water to $60 a year in turn saving me $353.92. Funny enough that is the exact amount of my car payment and car insurance a month with $3.92 to spare. I could have kicked myself for the tragic death of all those water bottles. If you need extra funds chances are you have it and don't even realize it. Sit down and write it all out. I mean ALL of it. That daily drink at your local coffee shop can amount to a pretty penny at the end of the year. Try it and see what you can potentially save. Then imagine what you could use that money for. It makes my heart beat a little faster for you. Yes! I don't know why, in America, people think water must be bottled. I know there are some parts of the country where it's necessary, but most people don't need to use anything more than a filtered pitcher. Like you said, it's literally throwing away money. I have noticed that the obsession with a water bottle is an American thing. I know that when I lived in Mexico our water wasn't clean enough to drink from the faucet but we had a water company deliver those big water drums for us. That too was more financial efficient. It's crazy to see how much money you can save, by cutting that one little thing. We buy water bottles a lot, I don't mind the tap water but my husband hates it! But a Brita pitcher might be the answer! I hate tap water too. Your husband is not alone on it. But I promise you that the Brita removes that gross tap taste. Wow! I never really bought bottled water because of health reasons, but this is an eye opener! The only time I ever had bottled water was when a flat was given to me. I'm so grateful someone gave us a Brita and a TON of filters as a gift - much money saved! That was a wonderful gift! That would make an excellent house warming or even bridal gift. Let's get that couple off to a good financial start! I really like your suggestion of sitting down and writing down where your money is going to find where you can make a change to free up some extra funds. I'm a culprit of the water bottles as well and I actually have a Brita filter. This was definitely an eye opener. 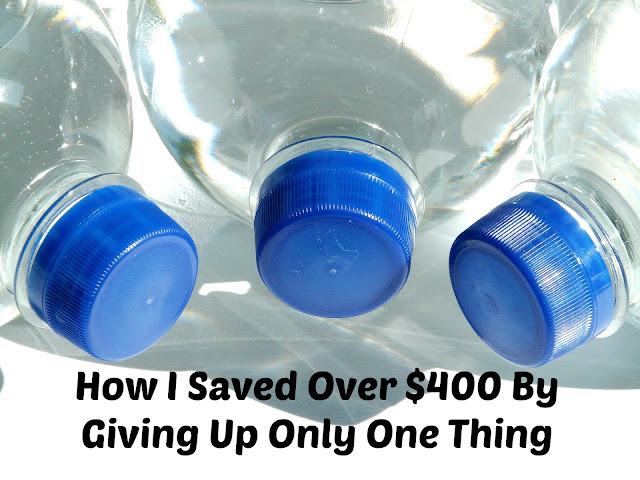 Try switching over to your Brita primarily for a month and you will see how you can really save. I am guilty of buying "items" instead of "meals" at the grocery store. Every week I gasp at the amount of my bill when I check out and then get home and realize I don't have anything to fix for dinner (or am not creative enough to come up with something). I am a procrastinator at its best, but you have inspired me to really sit down and start planning out my family's meal plan so that I'm not just throwing money away. Thank you!! I think we all are and it's not until we really sit down and take a look at things that we have our "aha" moment. I like to track things so this was fun (and horrifying) for me. I am sure you can find ways to save for your family as well. Our water tastes terrible so I usually drink bottled water, but I should seriously consider a Brita. I can't believe how much you saved!! The Brita does great at removing that tap water taste since the taste is mostly minerals and particles in the water. Give it a try. I decided to buy the Camelbak water filters. It filters going in and going out. It filters instantly. I also recently bought a Brita water bottle so that I can fill it up anywhere. That's great! I don't have a Brita water bottle but I do have a Starbucks one that I carry with me on weekends whilst doing errands. When it is empty I just pop into a Starbucks to have it refilled for free. Starbucks are everywhere so I am not going out of my way. Most times it is right in my store. I've recently started to meal plan on a Sunday, and whilst it may sound a tad dorky it is really working for me! I'm now only buying the ingredients I need to make complete meals and its saving me $, time and stress. Great savings on the water, just goes to show where the money really can go once you break it down and take a hard look at it. Yes that's great! I also "shop my pantry" while I meal plan so that I am using ingredients and spices that I already have.